U.S. and international patent applications. Ms. Nguyen has experience in the electrical, computer, and mechanical areas, including font activation software, medical devices, set-top boxes, video on-demand distribution systems and electronic programming guides. While in law school, Ms. Nguyen was a law clerk in the Office of Unfair Import Investigations of the U.S. International Trade Commission. She supported patent litigation involving the enforcement of section 337 of the Tariff Act of 1930. 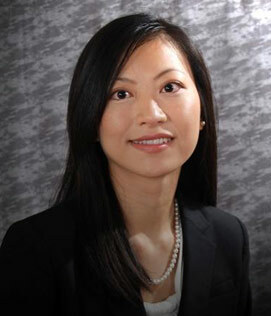 Ms. Nguyen was formerly a patent examiner at the U.S. Patent and Trademark Office. She examined patent applications relating to electrical generator and motor structures. Ms. Nguyen has industry experience working for a major defense contractor. As an electrical engineer, she performed root-cause analysis of electro-optic missile sensors returned from the field. She also supported the integration and testing of an infrared countermeasure system on a Boeing 767 aircraft. In addition, Ms. Nguyen interned for the U.S. Department of State where she performed inspections of electrical infrastructure and conducted audits of electrical security systems at U.S. embassies in Germany and Morocco.